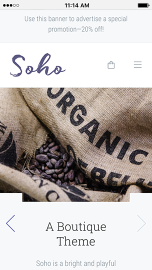 Soho is a bright and playful theme designed with artisans and small businesses in mind. 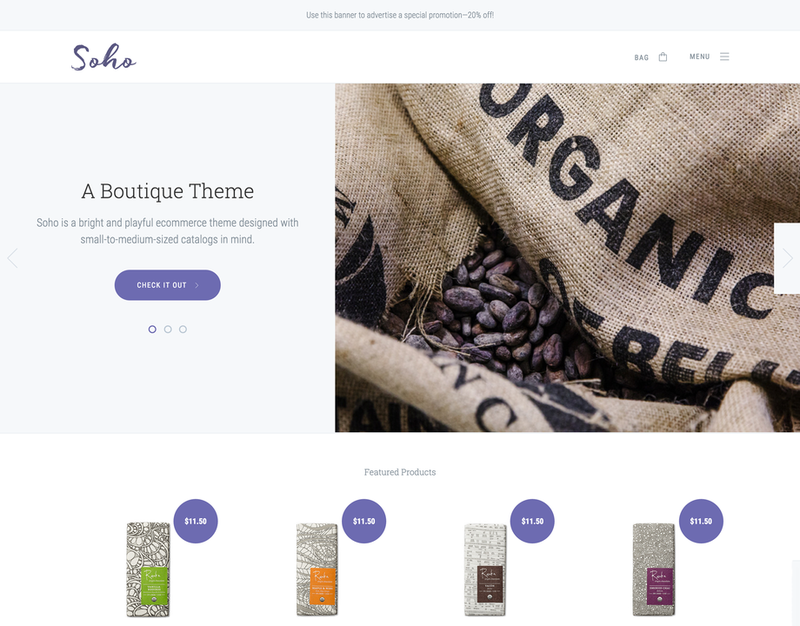 Ample white space and clean typography let you show off your products in style. Colorful buttons and sales-ready calls to action invite customers to engage with your brand and get to the checkout—fast.